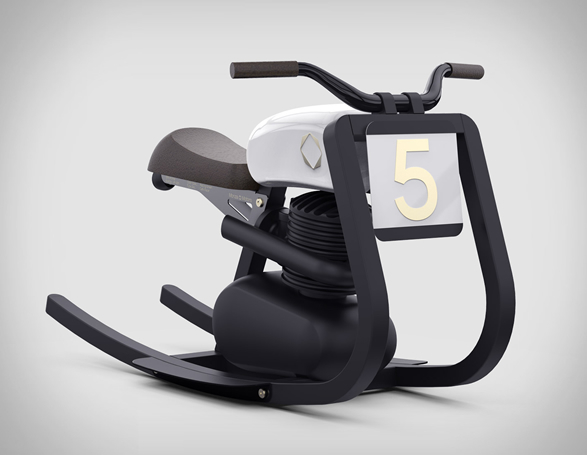 Forget the rocking horse, is your kid a two-wheel enthusiast? 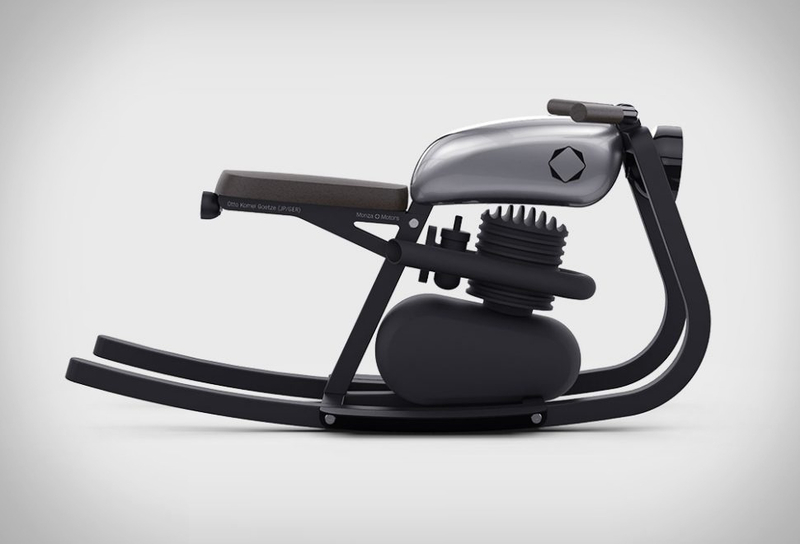 German industrial designer Felix Monza has developed this super cool Moto Rocker, a downscaled, old-school motorcycle designed to mimic the true feeling of life in the saddle. 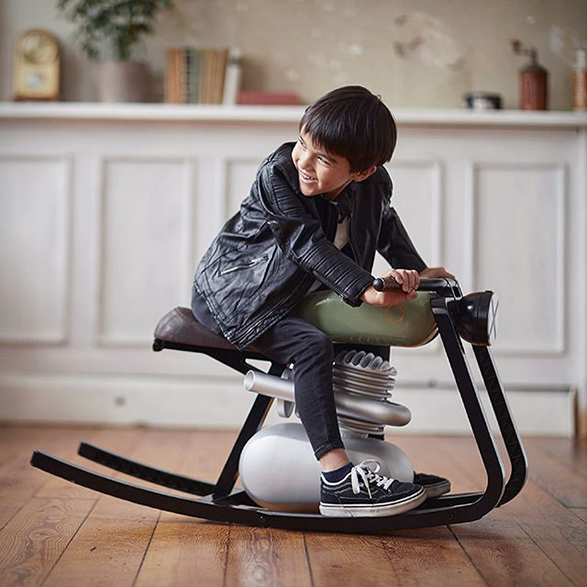 Built to look and feel authentic, the rocker comes complete with a one-cylinder 125cc faux engine, headlight and taillight, handmade leather seat and a framed bracket with serial number. 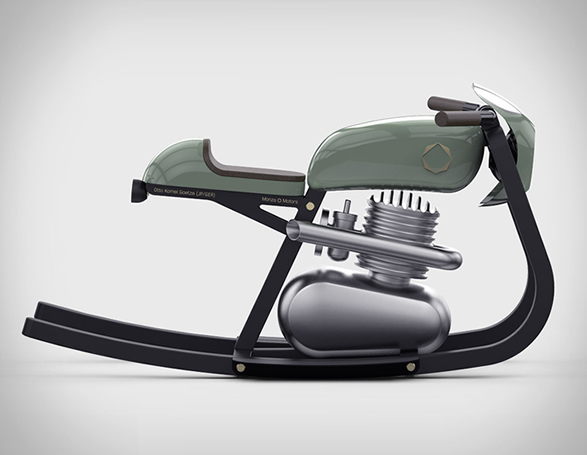 You can choose between a cafe, brat or track racer, as well as the color of the tank. 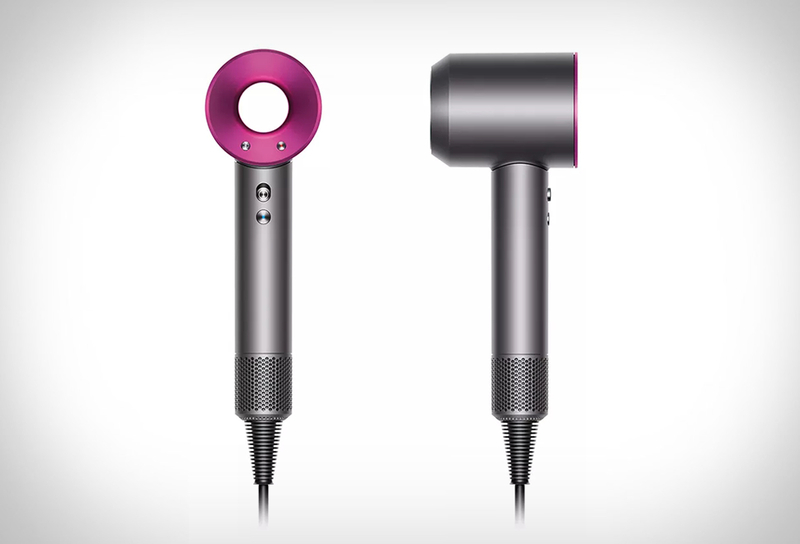 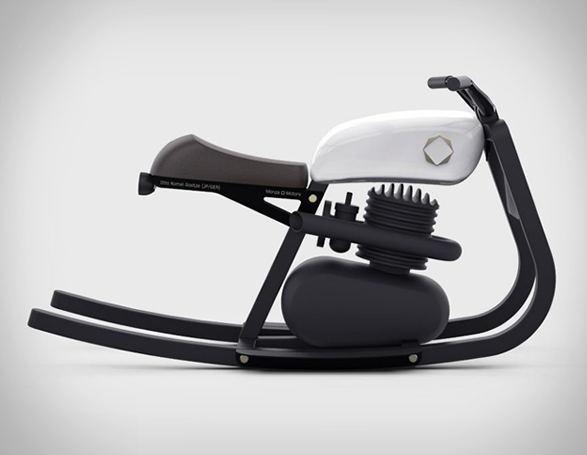 Undoubtedly though, parents and their friends will find themselves late at night on the compact rocker.